The Low Wood Hotel Lake District Hotel near Ambleside has fantastic panoramic views across Lake Windermere. Great facilities including pool, gym, leisure club and water-sports centre, and unrivalled Lake District location directly on the lake shore. Our Hote has 110 rooms comfotable and luxurious rooms with a choice of restaurants and bars. It also has a Leisure Club, Beauty Salon and Watersports centre together with superb views across Lake Windermere. The Hotel also overlooks a Marina on Lake Windermere. Our hotel is situated on the shores of Lake Windermere, a short distance from Ambleside in the Lake District. Please note that Well behaved dogs are welcome at our Lake District hotel.For more information or to book Low Wood Hotel Ambleside Lake District, please click on the 'Visit our Website' or 'View Availability' links above.We hope you enjoy your visit to Windermere, in Cumbria. Please see the map below for our location and links to local attractions and things to do in the area. 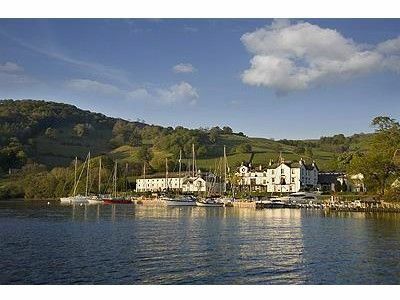 Our hotel is in a beautiful position on the shores of Lake Windermere in the heart of the English Lake District. Ideally positioned for Ambleside, Windermere, Grasmere and exploring all the main Lake and fells.